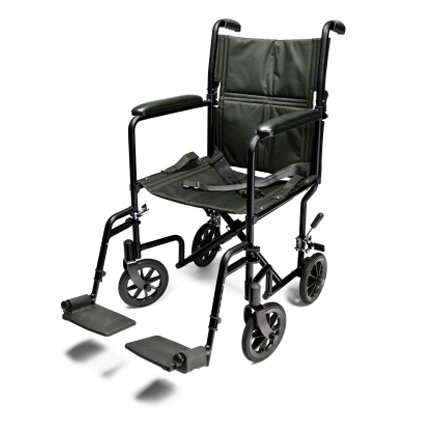 Everest & Jennings lightweight aluminum transport chair is designed to be an affordable patient transfer device. 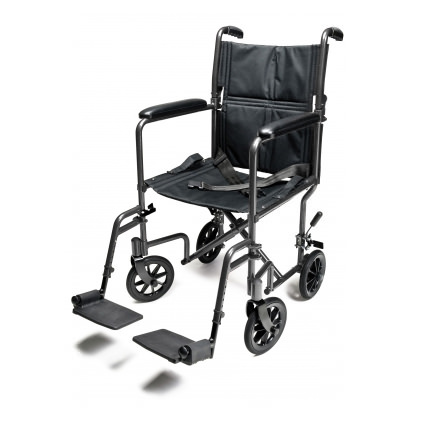 Aluminum transport chair is compact in size and lightweight which allows a companion to lift and store the chair with ease. 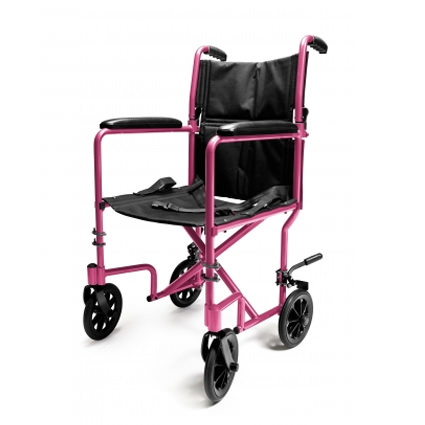 Everest & Jennings transport chair has aluminum frame in stylish color options of red, blue, silver, black, green and pink. 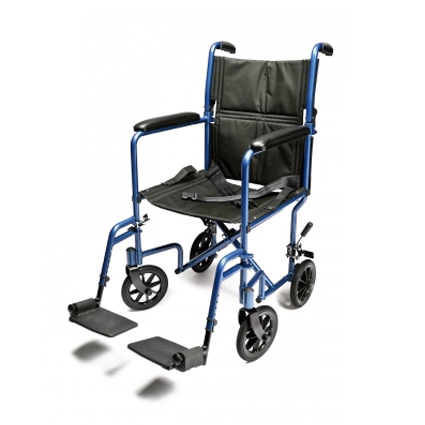 Lightweight transport chair features attendant wheel locks on both rear casters for better control and access by companion. It comes standard with 3" webbing black nylon leg strap with velcro adjustable loops to slide over installed footrests. 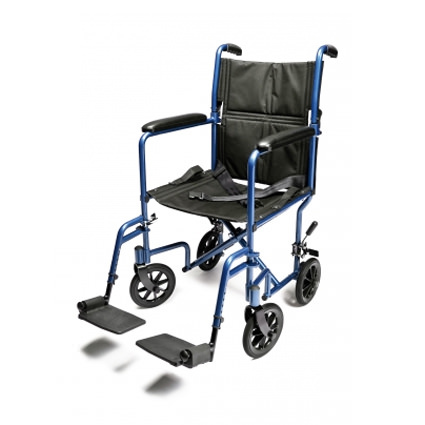 This warranty is limited to the repair or replacement of the defective parts. shall not be liable for and hereby disclaims any direct, special, indirect, incidental, exemplary or consequential damages, including, but not limited to: damages for loss of profits or income, loss of use, downtime, cover, or employee or independent contractor wages, payments and benefits.